Impact in society - Michael Luther King, Jr.
Kings biggest legacy was to secure the progress on civil rights with in the United States, and is a human rights icon today because of what he did. Not only did Martin Luther King change society and how African Americans where looked at in America but his stand on civil rights inspired Albert Luthuli, a black who fought for racial justice in Africa. 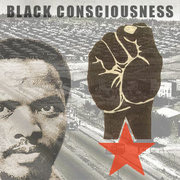 eventually influencing the black consciousness movement and the Civil rights movement with in south Africa. King believed that with civil disobedience and other non violent actions the civil rights move would be more successful. With that philosophy he was able to end racial segregation and discrimination, starting with the boycott of Montgomery bus system in 1955. In the early 1950's only 13.7 percent of blacks had a high school diploma while 36.4 percent of whites acquired a high school diploma. According to census.gov only 2.2 percent of the Black population in the United states Graduated with a Bachelors degree and 10.2 percent of blacks where completely illiterate, in 1950 139 blacks where in the workforce with a degree of any kind. After King's death in 1968 all that he and many others had worked towards had not just continued but thrived. By 1969 the number jumped to 586 blacks with a degree of any king. 31.7 percent of Blacks graduated High school, only 3.6 percent where illiterate and the number of African Americans with a bachelors degree doubled 1970. Just two years after Martin's death Cheryl Adrienne Brown became the first Black contestant in miss America. In 1972 Shirley Chisholm became the first Black candidate for president, and Barbra Jordan was the first African American to be elected into Congress. Martin Luther changed not only America but the world. He brought the attention to how unfairly blacks were treated and with his help new laws where put in place ending the segregation between African Americans and Whites.